Regardless of the type of startup, you’re launching, a smart and professional office is a must. Whether it’s just you for now or you’ve already got a team of employees in place, you need to create an office space that is smart and professional. After all, your office is probably the first glimpse clients will get into your company. So it’s crucial that it makes a good first impression. In the business industry, first impressions are everything. To help you create a commercial office space that you can be proud of, below are six suggestions to take note of. 1. Keep it mainly neutral. If you’ve ever been to a commercial office before, you’ll know that most offices are neutral spaces. If there’s too much going on in terms of the decor and design, this can make it hard for you and your team to focus. So it’s best to stick to a mainly neutral color scheme, made up of whites, grays, and beiges. You can, of course, add splashes of color with wall art and accessories. 2. Design a minimalist space. In terms of what features are dotted around your office, it’s best to keep the design minimalist. You’re creating a professional space, not somewhere for displaying this, that and the other. The upside to creating a minimalist space is that it will be easy to keep neat and tidy, which for a business is a must. 3. Think about how you want to work. When it comes to creating the perfect office space, think about what style of office you need to work productively. This is the most important factor to take into account as if you can’t work well; your office is useless. Do you want an open office space where everyone can work easily together or something that has private areas too? The option that you go for will depend on the type of business that you’re running. 4. Only invest in the essential items. It’s no secret that startups are on a budget, which means that you should only invest in the most essential items. Take the time to think carefully about what you need to run your business effectively and then go from there. Don’t invest in an item, such as an Apple Mac, just to have it. Only buy what you need to be successful. 5. Don’t be ashamed to buy second hand. When it comes to buying office supplies, from desks to computers, consider buying pre-loved items. The fact is that many companies, such as Arnold’s Office Furniture, for instance, offer a range of both new and used furniture. If you’re on a budget, then opting for second-hand items could be a good idea. No one needs to know that your office furniture isn’t new. By opting to get second-hand pieces, you can ensure that you stay within your budget. Something that, as a startup, is of the utmost importance. 6. Take your employees’ needs into account. 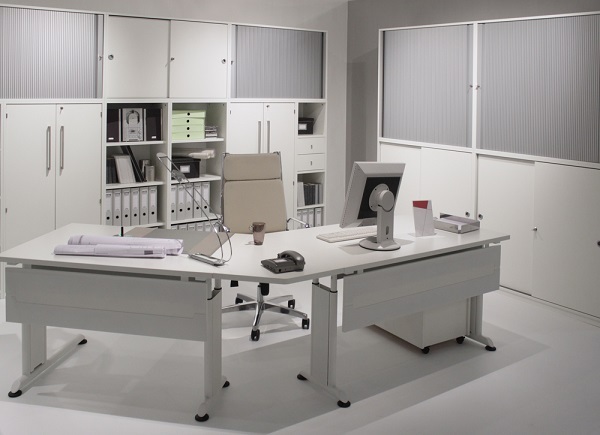 Last but not least, make sure that when creating your office space that you take your employees’ needs into account. If you’re not sure what your team will need to be productive, ask them. The truth is if you want a startup that’s successful and goes where you want it to, you need to take your employees’ needs into account. So that they are able to work productively and get as much done each day as possible. To create a smart and professional office for your startup, take note of the suggestions above.